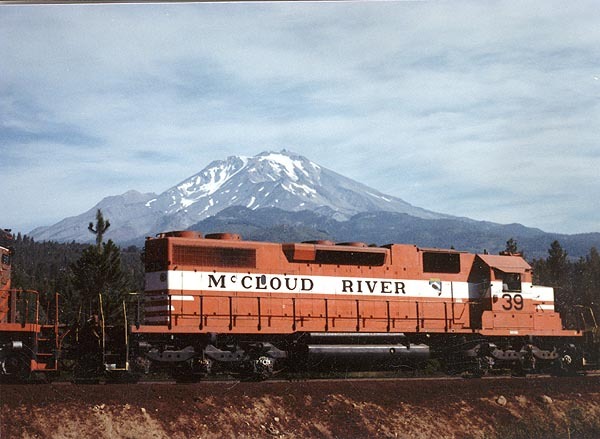 Travis Berryman's grandfather spent a career working for the McCloud River Railroad. Travis hired out with the railroad in 1988. 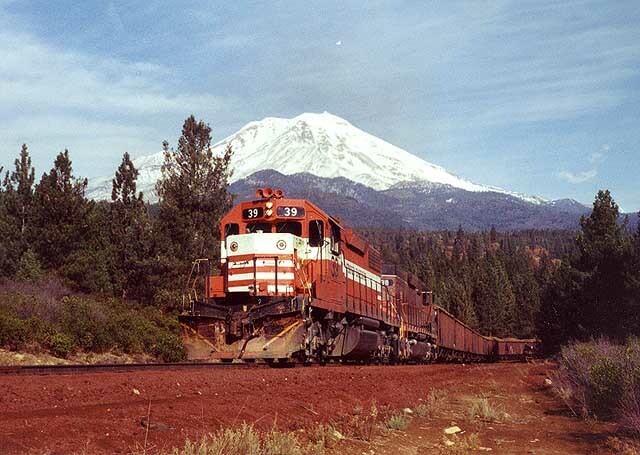 He worked on the section gang until 1995, when he left for a job with BNSF. Travis continues to photograph the railroad as often as he can. His work and photos from his collection can be found on many other pages throughout this site. 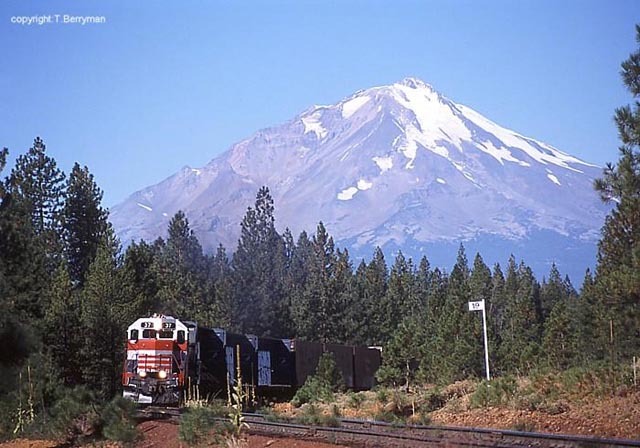 #37 with a Burney bound freight passing M.P. 19 at the Bartle Wye. 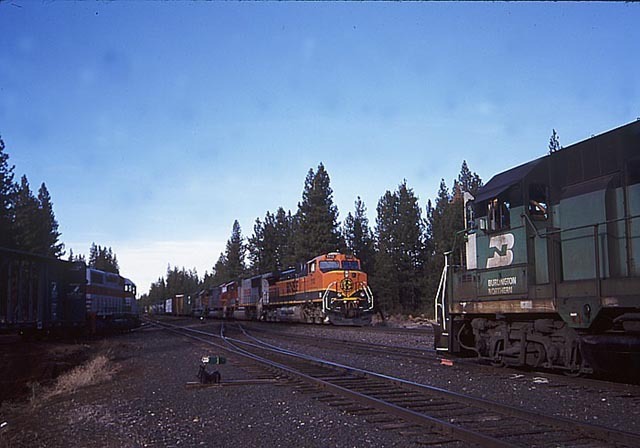 A rare shot of all four McCloud EMD's together. The #39 and #38 are working the interchange tracks at Lookout Junction to the left while the #36 and #37 power a southbound BN train to the right. 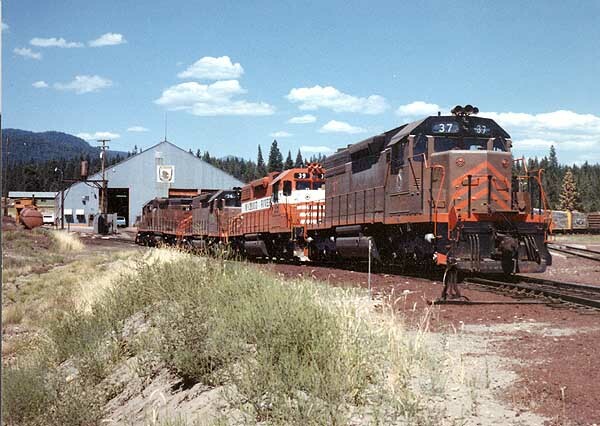 The McCloud did not need all four locomotives on the property during much of the 1980's, and the company realized extra revenue by leasing the surplus power out. #39 and #38 lifting a unit train of sugar beets four miles out of McCloud. 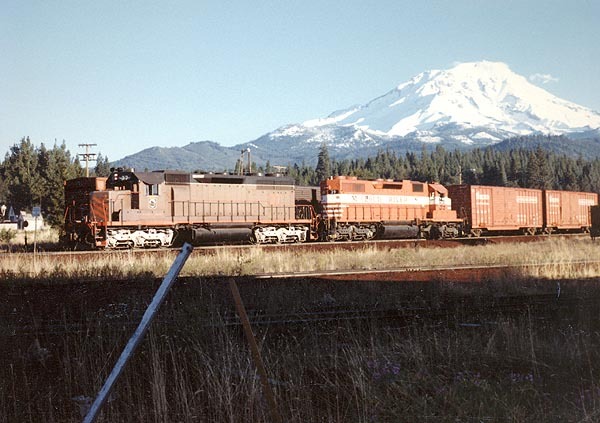 #37 and #39 switching Arcata & Mad River boxcars in the McCloud yard in October 1986. A nice roster shot of #39 four miles uphill from McCloud. 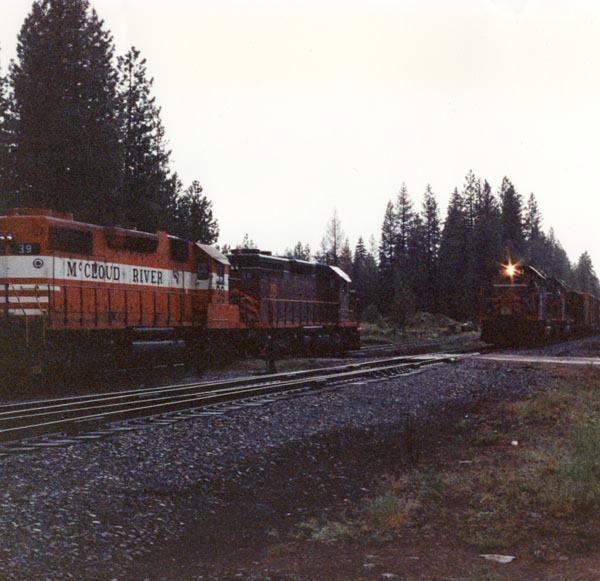 Another shot of all four EMDs together, this time in McCloud in October 1986..
A three-way meet at Lookout junction- north and southbound BNSF freights on the right and a MR freight working the interchange on the left.